Law means a rule or a collection of rules. Colloquially, the law it means the police. Lore is knowledge or tradition passed from generation to generation. Lores are part of a bird's head. There is often confusion over the words law and lore. A rule or collection of rules imposed by authority. A universal principle that describes something's fundamental nature. Kofi Annan told the international conference: "It has been said that arguing against globalization is like arguing against the laws of gravity." Tradition or knowledge passed from generation to generation (often by word of mouth through legend or anecdote). Vampire bats and good-looking, sophisticated vampires have only recently become part of the traditional vampire lore. According to folklore, if it rains on St Swithin's Day, it will rain for the next 40 days. 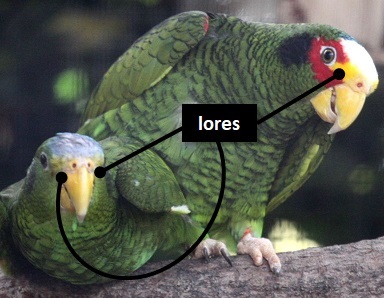 Lores: The surface on each side of a bird's head (used for other animals too; e.g. snakes). There is no such word as folklaw. It's folklore.